Our MCT staff are Practitioners, meaning that we are currently working within the music and sound industries. This includes award winning computer-games sound-designers; leading on AAA titles such as Alien Isolotion, Quantum Break and Harry Potter. Performers with experience at the highest level playing at venues such as the Wigmore Hall and Purcell Room and performances on BBC Radio 3 and composers working on feature films such as 'Bonington: Mountaineer'. We are also Researchers, meaning that our academic interests inform and inspire our teaching. Research ranges from Music and Alzheimers, Improvisation with electronic music and Sound Design in Film. Harry’s music has been performed nationally and internationally, including performance on BBC Radio 3. In addition, he has composed the scores for film and computer games that have been featured at film festivals around the world, including Palm Spring, LA, Berlin, and London. Harry received an AHRC funded PhD in Composition from the University of Edinburgh in 2014, previously receiving an MMus from the same institution and a BA Music (Jazz) from Middlesex University. Harry has taught at the University of Edinburgh and the Royal Conservatoire of Scotland and lectured and presented at conferences around the country. In 2016 Harry was the recipient of a Banff Fellowship, he is the composer in residence of St. Vincent's Chapel in Edinburgh and Course Leader for BA/BSc Music Composition and Technology at the University for the Creative Arts. Laura is a creative practitioner, composer & technologist. Laura has a collaborative ethos and drive within creative and cultural industries & academia. Laura is currently undertaking a PhD in collaboration with Ableton Live. Laura presented at International Guitar Research Centre Conference (2016) at the University of Surrey with Dominik Strutzenburger, Head of Pop Division at the Vienna Conservatory and the University of Wuerzburg entitled Human vs. Machine in Post-Rock Guitar Collaborative Performance. Laura achieved her MMus in Creative Practice at the University of Surrey and BA(Hons) in Multimedia and Sonic Arts at the University of Central Lancashire.Laura’s integration of Ableton Live and guitars in composition and performance is explored in band Parachute for Gordo, with releases Possibility of Not (2017), Ten Metres Per Second Per Second (2014) and Eight Minutes of Weightlessness (2012). The band’s recent recording in Austria in DS Studios was featured in Music Tech Magazine (June Issue, 2017). The band have toured internationally and played with bands such as The 1975, Jamie Lenman, Gallops, Physics House Band and Adam Betts. Laura is a trustee for Forward for Wiz Trust who assist, mentor & educate musicians. In addition developed music projects with the The Hub and Media Arts Centre SPACE in East London. 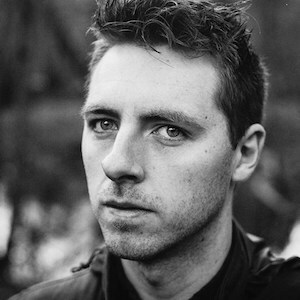 Daniel composes algorithmic electro-instrumental music and is a PhD candidate in composition at Goldsmiths. He has been using and teaching Max for 7 years. He has recently had work premièred at the National Museum of Wales, the Brighton Fringe, and via release on Classwar Karaoke and NX Records. Daniel improvises with custom designed Max software in various ensembles including Some Some Unicorn and Roddart, the latter having reached the finals of the Engine Room International Sound Art Competition 2015. His music combines elements of free jazz, electroacoustic, and choral music. Daniel lectures at Morley College, Goldsmiths, & the University for the Creative Arts. Anna has performed across the UK and Europe as soloist, recitalist and chamber musician including concerto appearances with the Sheffield Philharmonic, Tyneside Chamber and Alderley Edge Orchestras. She has been recipient of numerous awards, including scholarships from the Arts and Humanities Research Council and the RNCM’s Richard Newitt Award. A Park Lane Group Young Artist, Anna has appeared as recitalist at the Purcell Room, St Martin in the Fields and St James’ Piccadllly. Also a composer, she was selected by the London Chamber Orchestra to have her piece performed at St John’s Smith Square. Anna teaches at Chetham’s and works as Assistant Cello Teacher at the Yehudi Menuhin School. 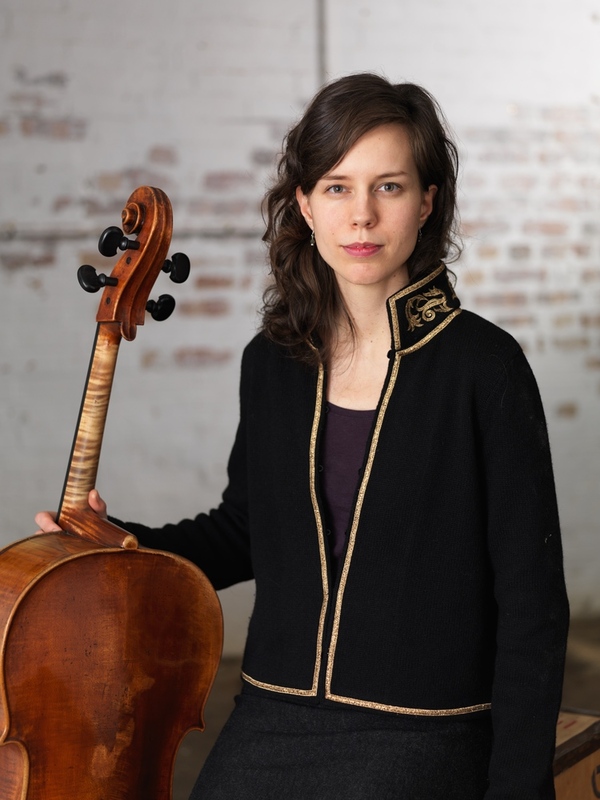 Anna has been a member of the Gildas Quartet since its formation in 2010. Forthcoming performances include recitals at the Wigmore Hall, the Two Moors Festival and an appearance on Radio 3's "In Tune". Vangelis graduated with a BSc (Hons) in Music Technology from the University of Hertfordshire and completed his MA in Digital Media at Sussex University in 2005. James teaches recording, editing and mixing workshops across all audio-based courses, including Music Composition & Technology. As a certified ACI, James also teaches the Avid Pro Tools 101/110 course, which students partake in to earn official certification from Avid. Off-duty, James also produces his own music in the style of electronic/hip-hop, incorporating Pro Tools, Ableton Live/Push and Max/MSP.